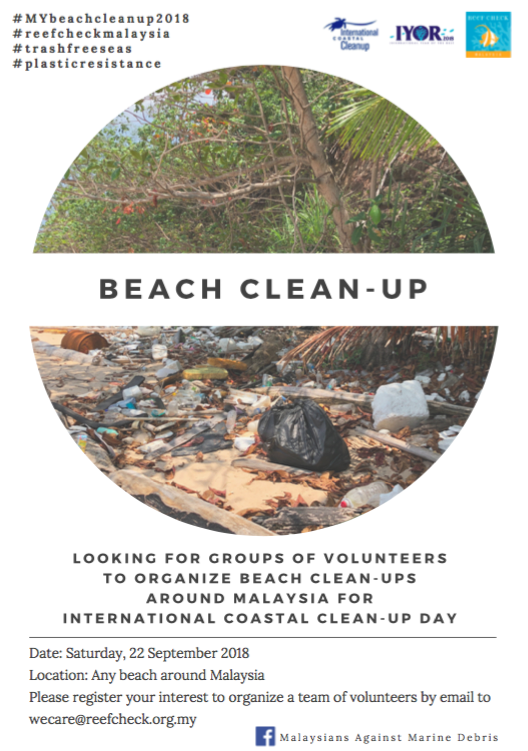 In conjunction with the International Year of the Reef and the annual International Coastal Clean-up Day, Reef Check Malaysia is activating nationwide beach clean-ups on Saturday, 22nd September 2018. This is in line with our commitment to highlight the issue of marine debris, specifically plastic waste, which represents a serious threat to marine ecosystems. 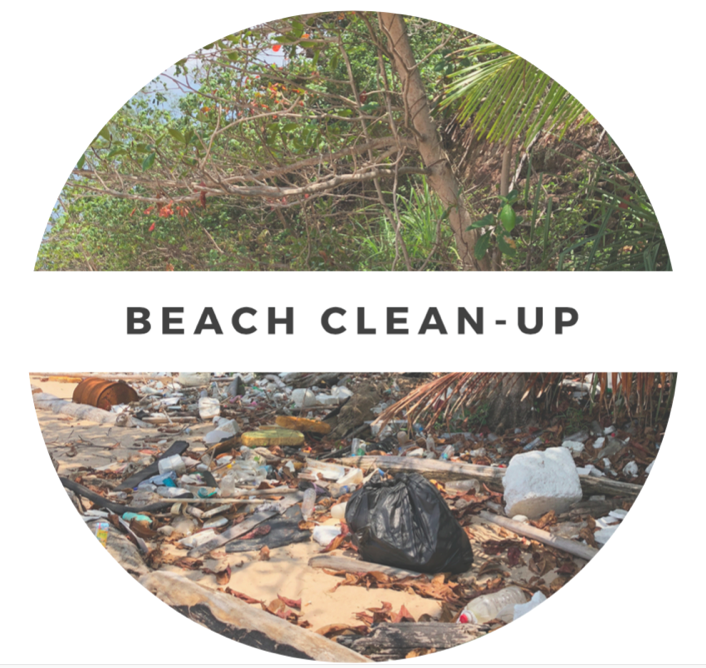 Reef Check Malaysia aims to collect as much data as possible of the amount of trash on our coastlines so we can provide concrete evidence to lobby for a change in our recycling and waste management systems. We also want to increase awareness among Malaysians that we are responsible for the trash that ends up in our oceans. In March we had 16 locations, in September we are planning many more! Want to get involved? Come and join us at one of our locations or organise your own beach clean-up near you!